Dr. McParland has been helping people achieve better health for the past two and half decades. She and her staff strive for excellence by providing specific chiropractic care, nutritional counseling, acupuncture, massage, and rehabilitation. Dr. Miriam McParland has been trained and certified in a variety of services and techniques. Here at Integrated Health Solutions, we can treat a variety of injuries and issues. Since 1988, Dr. Miriam McParland has been involved with chiropractic and health care. Dr. McParland worked side by side with her late husband operating and managing a very successful chiropractic clinic in Northlake before his untimely death. 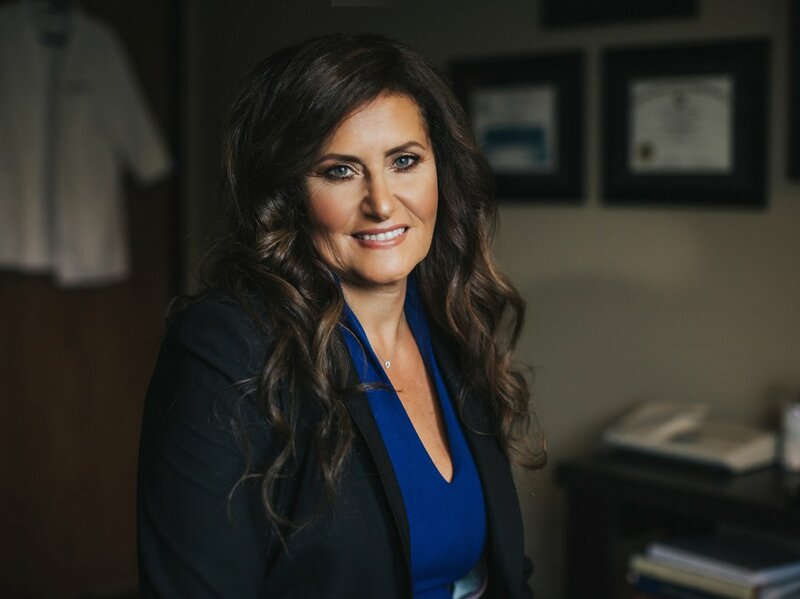 After having to sell the practice Dr. McParland went back to school and received her Doctor of Chiropractic in 2014 and is once again doing what she loves by serving her community. The services provided at Integrated Health Solutions are tailored to fit our patient’s individual health care needs. Our team strives for excellence by providing specific chiropractic care, nutritional counseling, acupuncture, massage, and rehabilitation. Many of our patients have been able to avoid surgeries under Dr. Miriam McParland’s care and have been shown techniques to ensure a healthy lifestyle beyond their initial complaint. The philosophy of Integrated Health Solutions has been one that involves a natural solution to health care needs with a large emphasis on education. All too often our current healthcare system is set-up to merely relieve symptoms, with little understanding of the problem by the patient, and oftentimes never exploring the true cause of the dysfunction or problem. In our office, we use scientifically specific techniques to find the problem, a Socratic method of teaching the patient their responsibility in the healing process, and always make corrective recommendations. We feel this approach is superior and most rewarding for the patient who is always kept involved, every step of the way. We provide wellness workshops at no charge to our patients and their family members. We believe a true health influence should be far-reaching and is never too soon to begin, which is why children are under care as well. Once the full correction is made, we then offer wellness lifestyles that promote prevention and enhance the quality of life, as well as increasing the length of your life. This dynamic and fresh outlook on healing places our office at the forefront of healthcare and has been recognized by doctors in many different disciplines of medicine, and natural healing, to entrust their patients to our care. We take each patient as an individual and seek your health goals upon entering the office.